Regional casino giant Penn National Gaming, which owns M Resort, announced plans Friday to enter San Diego’s Indian gaming market. The company, which is based in Wyomissing, Pa., announced an agreement to build a $360 million Hollywood-branded casino project for the Jamul Indian Village. The development, which is expected to break ground later this year, is roughly 20 miles east of downtown San Diego. In a statement, tribal officials said that the environmental review process for the site was completed and the tribe is working with California and San Diego County agencies to address potential environmental impacts. The project is planned as a three-story, 200,000-square-foot casino with 1,700 slot machines and 50 table games, restaurants, entertainment amenities and a parking structure. 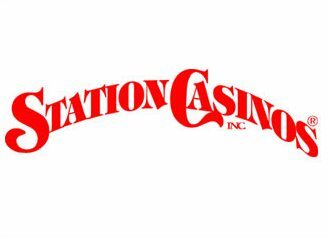 Two Las Vegas-style casinos, including one that is a partnership with Station Casinos LLC, will be built miles from their traditional reservation land in California after Gov. Jerry Brown signed two compacts on Friday. Brown’s decision allows the North Fork Rancheria of Mono Indians near Fresno, Calif., and the Enterprise Rancheria of Maidu Indians near Marysville, Calif., to pursue plans to have the federal government put land into trust on which the tribes will build casinos. In a letter to U.S. Interior Secretary Ken Salazar , Brown said approval of the two casinos is unlikely to allow many other tribes to expand gambling operations in a similar way. “I expect there will be a few requests from other tribes that will present the same kind of exceptional circumstances to support a similar expansion of tribal gaming land,” Brown wrote. “The bill is still alive,” said Paul Donahue, a consultant for California state Sen. Roderick Wright, D-Inglewood, who authored the measure. Federal law prohibits sports betting in 46 states. California residents who want to place a bet on sports now must do it illegally or travel to Nevada where it’s legal to operate a race and sport book. Cantor Fitzgerald LP, which owns sports book operator Cantor Gaming, is seeking a gaming license in Macau as the company moves to expand its sports betting business beyond Nevada, a company executive said. Cantor Gaming officials in Las Vegas declined comment Friday. The company, an affiliate of the New York-based financial services company, operates seven sports books in Southern Nevada. The company announced Monday it had reached a deal to build and operate its eighth sports book at the Silverton. 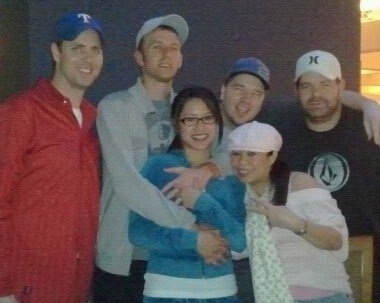 Coming up in Texas poker is tough. In addition to fading the normal variance of the game, players have to fight exorbitant rakes and dodge robberies and raids. Spots come and go often, with no regulation cheats can operate with impunity for years before their reputations get tarnished. No poker tours come to our home towns, no special promotions for pit players trickle down into our economy, and no advertising means we have smaller player pools to fish in. When people express shock that grinders from Texas are going on a rush in a regulated market like Cali I just laugh- compared to our home games this is a walk in the park. 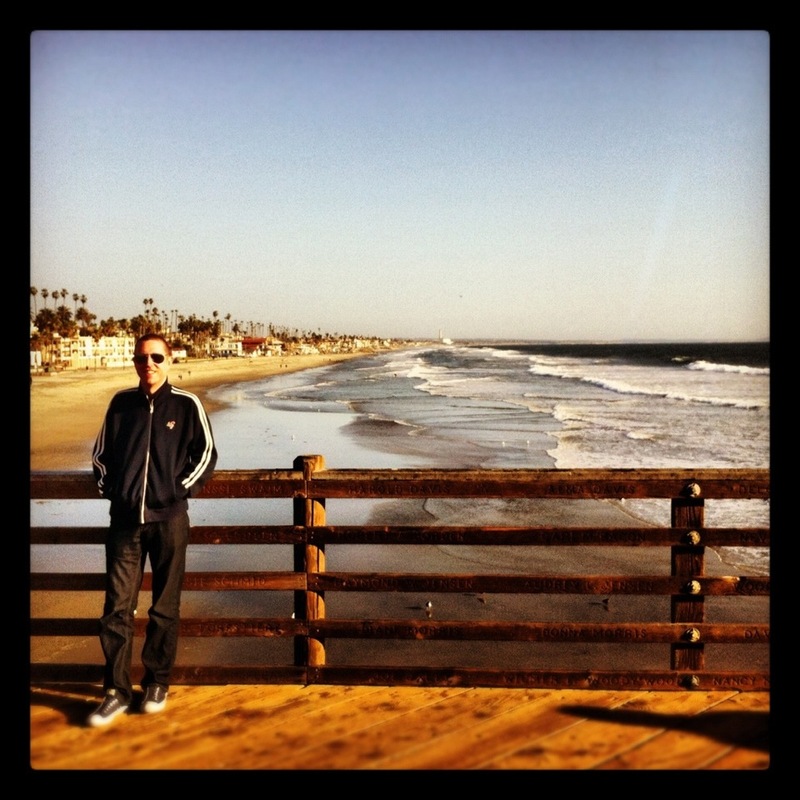 I think I was in Los Angeles at the end of last summer. Somewhat amazingly, that was the last time I was outside of the desert. I did go to Palm Springs with my girlfriend and met some family there for Thanksgiving … but that’s still in the desert. I didn’t go home this past Christmas for the first time ever in my life, and I haven’t left Vegas once in 2012. This can’t be healthy. 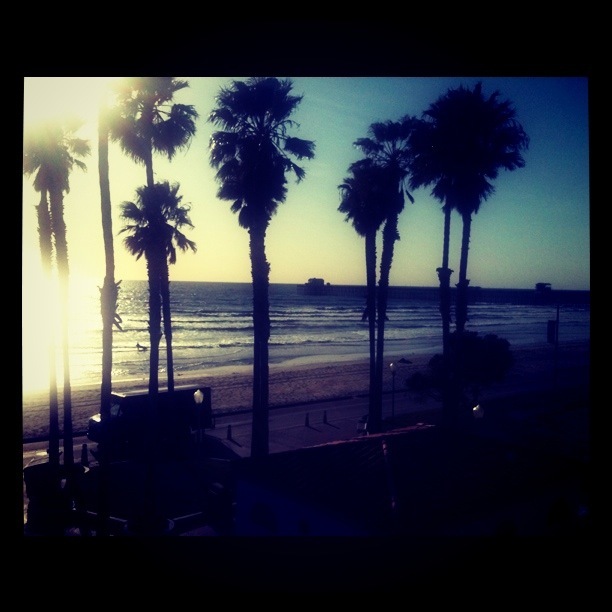 I need to get out for a while. This was THE nit festival of all nit festivals. Your normal hourly rate simply does not translate when you remove the fun-loving, didn’t-come-to-fold tourist factor and replace it with the game-has-obv-passed-me-by-but-I’ll-still-sit-here-and-fold-for-$10/hr-zomg-dreams-do-come-true jaded older Vegas reg. I mean, it was truly miserable. Las Vegas is awesome. We all know about the availability of booze and gambling 24/7, and the ability to keep whatever sleep schedule you desire. As cash game poker players, we never have to endure the pain of an alarm clock’s rouse, as Vegas embraces daywalkers and nightowls alike. The cost of living is relatively low, especially considering the quantity and quality of entertainment options available as compared to other cities with similar offerings, such as LA, San Francisco, Miami. If outdoor adventure is your thing, you can find plenty of that at places like Red Rock Canyon; hikes such as the Gold Strike near Hoover Dam, which takes you all the way down into the Colorado River; and weird natural beauty like the Valley of Fire. And for those less willing to leave Clark County, there’s the peaceful Summerlin suburbs, and the increasingly interesting downtown Vegas scene. 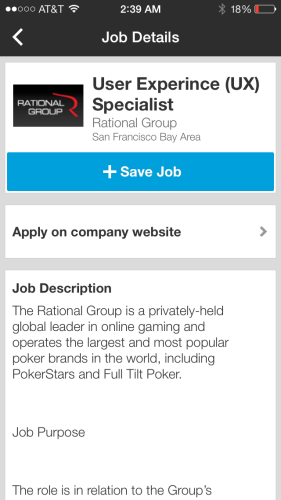 Online gambling opponents refining their message? Quick LOL … something I stumbled across while reading what I presumed was just a ho-hum news article about another state gearing up for online gambling (via the PPA’s latest newsletter). I wanted to see what state was next and whether or not they separated out poker. Turns out it was just California, talking about how much money they stand to make if they can just catch up with Nevada. For sure. Righteous, dudes. “We don’t want to see any of it,” said pastor James Butler from the California Coalition Against Gambling Expansion. “Pretty soon they’ll have an app that will allow you to connect instantly to a casino or a gambling site. Want to lose your home? We have an app for that,” Butler said. 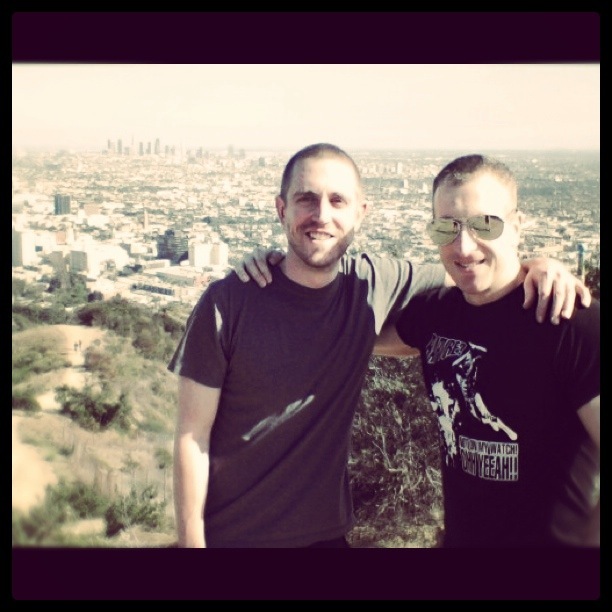 WSOP Main Event Champions: Where Are They Now? But what about the rest of ’em? 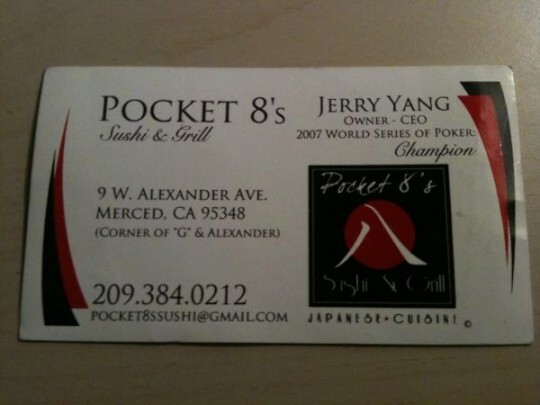 You can currently find Jerry Yang, the 2007 WSOP’s biggest winner and #20 on the all-time poker tournament money list, bussing tables while commanding an otherwise lackadaisical staff (according to Yelp) at Pocket 8s Sushi & Grill in central California. Um, pass the yum-yum sauce? Poker Fish: You wouldn’t believe how many of Jerry Yang’s relatives are always hitting him up for free sushi. Online gambling bills from Congressmen in Texas and Washington State are ready to follow in the success of Barney Frank’s efforts! Plus, Internet betting is almost ready to launch in Washington DC while a major software provider gets some support in California! More about this awesome little poker room — the coolest I’ve ever seen in the area — at TheAviatorCasino.com.